Dornbrook Construction has proved concrete does not have to be boring. 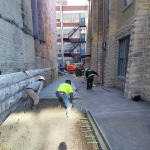 Enhance your Milwaukee business with sturdy, appealing concrete features. With over twenty-five years of commercial concrete construction experience, it’s no surprise we offer some of the best turnaround times in the business. We can complete your concrete installation with minimal disruptions to your company’s day-to-day operations. 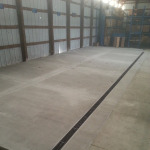 Check out recent commercial concrete jobs in the Milwaukee area. Dornbrook Construction has done everything from installing new parking lots to creating floors for horse stables. 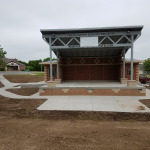 Our high quality concrete installations create smooth and level surfaces for supporting heavy machinery or professional looking and functional parking lots. Contact Milwaukee’s best commercial concrete contractors now for a free quote on your concrete needs. Watch our concrete construction team install a new commercial concrete base at Milwaukee's Exact Automation now! "... Concrete Installation for Parks and Outdoor Spaces"
"... Dornbrook Installs Concrete Features"
"... Concrete Slabs for Industrial Shops and Warehouses"
"... Machine Base Excavation Complete"
"... Prep for 400 Ton Press"
"... Pouring Machine Foundation 7ft. Thick with Rebar"
"... Machine Foundation for 400 Ton Press"
"... Prep Work for Machine Pit"
"... Getting Ready to Pour Concrete for Machine Foundation"
"... Concrete Base Ready for Machine"
"... 400 Ton Press in Place"
"... 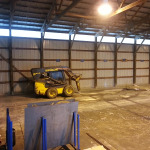 Concrete Removal for Machine Base"
"... Gas Station in Milwaukee"
"... Gas Station in New Berlin"
"... Gas Station Parking Lot in Milwaukee"
"... Loading Dock Concrete Installation"
"... Shop Floor with Finishing Machines"
"... Storage Building Slab with Proper Winter Weather Precautions"
"... 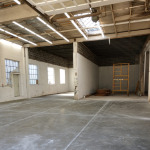 Removing Concrete from Industrial Site"
"... 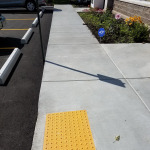 Concrete Entrance for Milwaukee Business"
"... Reinforced Concrete for Machine Support"
"... Reinforced Concrete for Extra Strength Flooring"
"... Reinforced Concrete in Wisconsin"
"... Commercial Concrete Installation "
"... Commercial Construction Job "
"... Horse Barn After Menomonee Falls"
"... Horse Barn Before Menomonee Falls"
"... Machine Base Super Steel in Milwaukee"
"... Machine Base Concrete Installation in Milwaukee"
"... Milwaukee Concrete Floor Installation for Machine Base"
"... Machine Base Floor Installation for Milwaukee’s Super Steel"
"... Machine Base Concrete Installation for Milwaukee's Super Steel"
"... Milwaukee New Concrete Base with Rebar Reinforcement"
"... Sherwin Williams Concrete Floor Repair in Wauwatosa"
"... Concrete Removal for Mequon Goodyear"
"... Concrete Removal for Mequon Goodyear 2"
"... Concrete Replacement for Mequon Goodyear"
"... Concrete Replacement for Mequon Goodyear 2"
"... Horse Stable Concrete Installation in Menomonee Falls"
"... 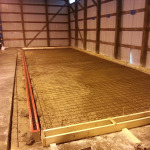 Horse Barn Concrete Installation in Menomonee Falls"